There's also the repetition bias: people believe things they've heard several times, even if those things are not true. "Correcting" a Trump lie, for example, involves repeating it. Seems to me that's counterproductive, to say the least. Headlines that repeat Trump's outrageous claims and then debunk them in the body of the article are a particular problem. Look at the current common-but-false idea that Trump's "just fulfilling his campaign promises" by doing these harmful things. He's not fulfilling his economic and anti-corruption "drain the swamp" promises. I think that's especially a problem when it comes to climate change and libertarian/crony capitalist trickle-down economic theories. I teach an occasional class on corporate governance, which touches on the problem of wealth distribution. Most students in class think we are the wealthiest country in the world. By average wealth, we ARE wealthy $244,000,.. 5th after Switzerland, Australia, France and Norway. But if we look a median wealth, it is $44,900 and we are ranked below Spain and Greece. 1/5 the median wealth of Australia, less that 1/2 that of Canada. Myths persist. The greater portion of humanity has ALWAYS been "allergic to facts." This is not a new trend. Look at how the handful of critical-thinking pioneers and scientific trailblazers even during the tail-end of the European Renaissance were treated? Take the likes of Galileo Galilei, for instance. How did the majority respond to him, when the refinement of his "spy glass" into a higher-powered optical tube (the forbear of the modern telescope) revealed strong evidence and confirmed the Copernican theory that the Earth was NOT the center of cosmology (geocentrism), but rather that it was one of a number of planetary bodies which circled a system with the Sun as the center (heliocentrism). What happened next? Even when Galileo humbly and amicably offered many long-time and distinguished scholars, church clergy, and noblemen to peer through his telescope, and see with their own eyes, how did they respond? "Well, I'll be damned! The Earth is really NOT the center of god's creation, after all. It's just one of MANY balls of dust out there, and probably not anything particularly spectacular at that, when placed against the backdrop of the entire universe." Was that how the deeply-entrenched "institutional thinkers" and "university authorities" reacted to this paradigm shift in cosmology that was laid out before them, clear as daylight? Heck, no! They dug in their heels, felt insulted, incensed, and some of the most prominent and decorated figures of society fervently insisted that Galileo's device was "trickery", "sorcery", "deception", and in some cases even denounced as "the work of the devil." This is just one of MANY examples, demonstrating that the human creature (on the whole) is a heavily-opinionated, typically closed-minded, and overall lazy creature of habit, thus zealously resistant to ANY piece of emerging knowledge that confronts it to have to drastically re-thinking and abridge its world-view. So, you see, that this "allergy to facts" is nothing new under the sun. In every era, only a HANDFUL of deep-thinking explorers, pioneers, inventors, and tinkerers have been courageous enough to put their own personal feelings and biases aside and instead discipline themselves to place HARD SCIENCE and EVIDENCE-BACKED KNOWLEDGE at the forefront of their priorities in life. Again, this is NOT an easy thing to do, in ANY century or era. Because, as stated, we are creatures of habitual coziness. We would rather rebel against truth, itself, if it meant that we were required to let go of any of our deeply-cherished traditions and preconceptions, because those are our "security blankets." Familiarity is cozy. It is warm. It is reassuring. But, it is also our greatest DOWNFALL, if newly-emerging evidence to the contrary compels us to let go of those "blankies" and "binkies" but we are stubbornly and petulantly - like that of sniveling and whining adolescents - unwilling to do so. Indeed, it takes a human being with an EXCEPTIONAL constitution of scientific fortitude, self-checking accountability, and critical-thinking mettle, to embrace newly-emerging evidence-based truth no matter HOW "uncomfortable", or "offensive", or "blasphemous" it may seem. Not too many people are wired like that. And not to many people would even be willing to RE-WIRE themselves, even if given the opportunity and means to do so. And that is why ... the MAJORITY of humanity is "allergic to facts", no matter what age we live in. The harsh reality is that, as far as we have evolved, we still have far more evolving yet to undergo. That is, if we wish to see a future human civilization in which the MAJORITY is willing to embrace newly-emerging evidence, rather than just a tiny sliver of minority "misfits", "eccentrics", "deviants", "seditionists", "freaks", and "blasphemes." That's it? I was hoping the article provided the answer to this dilemma. You have to give people a way out of their belief that preserves their self image. They need a path to the correct viewpoint that allows them to say, "it wasn't my fault I believed that way," or "I was right when I thought that but now things have changed so my views have changed too." People don't want to have to admit they were wrong or foolish. I would have shared this article on FB if it didn't start out with a recital of Trump's lies. That would have turned off the folks that shut down when there's mention that Trump lies - in other words, sharing this would "backfire." There is a tradition in social psychology going back to the 1950s looking at this. "Backfire" happens sometimes, and sometimes it doesn't happen. In itself it doesn't explain much. Looking at the literature on cognitive dissonance and motivated reasoning for understanding would be more useful in my view. I developed a critical thinking / writing class for college juniors. My grad thesis was a comparison of the predictive power of scientific models across disciplines from physical chemistry to sociology, published in Am J Physiology. I was a hippie in the counterculture. My reaction: this treatise doesn't seem balanced. It seems like another defense of the 2017 politically progressive holy writ, item by item. I came away with the impression that the piece isn't "people" who are averse to "facts." It's "those people" who are averse to "our favorite facts." The unemployment rate is a fact, but so is the workforce participation rate. One looks good, the other looks like a multi-decade debacle. The deficit is lower, but the national debt doubled. Both are facts, but what's up with the economy? It would be very encouraging if more of the erudite coverage of the behavior of "dumb people behaving badly" picked one example on *each* side of the political divide, and dismantled some favorite flawed thinking on both the political left and right in the same argument. Would that be so difficult? The FACT that the journalists have been caught over and over again lying to us because of their own bias has A LOT TO DO WITH IT. I watched CNN everyday and witnessing the MANY LIES during the last 2 years it is ONE of the MANY reasons I voted for Trump! So now I dont know who to believe I find myself flipping the channels between FOX and CNN and trying to decipher whats actually true. ITS EXHAUSTING! The MEDIA HAS/IS SINGLE HANDEDLY DESTROYING OUR DEMOCRACY. I dont have enough time in a day to make enough money to feed my family let alone fact check the people we should be able to trust with FACTS! WE ARE DOOMED! I HAVE NEVER FELT SUCH DESPAIR IN MY LIFE! GOD HELP US ALL!!! This article would also explain why there are so many who are believers in one god or another, regardless of being shown the staggering number of inconsistencies in whatever texts are preferred. People have to change their approach. Ask them instead to explain why they believe the way that they do. Ask them to explain. And then listen to them. "Correcting" people won't fix this problem of spreading misinformation. It's a process. You're never going to get someone to change their minds when they perceive that you're attacking them. One thing this article did not mention is that people who tend to hang onto these beliefs already feel that they are in some kind of marginalized group and its "us vs. them". Die-hard Trump supporters feel as if they are in a marginalized group. Anti-vaxxers are the same way. They may not actually be in a marginalized group (like, say, Muslims, for example), but that doesn't matter because how they *perceive* themselves is what matters and the more people point out facts and expect them to instantly change their minds, the deeper they will dig in their heels to hang onto their beliefs. I thought it was because of God. Some thoughts about the stats on fear. 1. 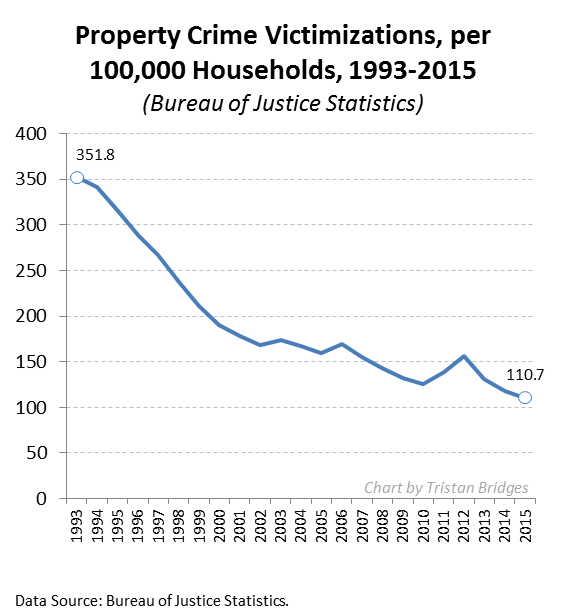 The population increase may mean the number of crimes is UP, even though the rate is lower. 2. 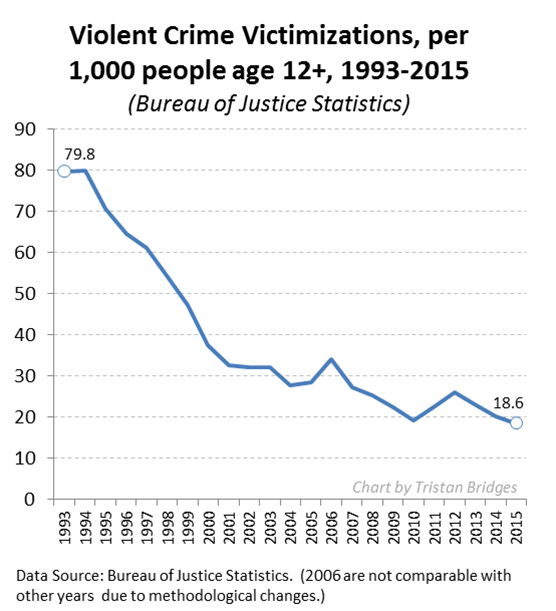 Media coverage of crime. The local news to the national networks love churning out crime on camera - surveillance, police monitors & camera phones. Ratings and fear. from a social psychological perspective, we all need to recognize that as adults, most of us choose to belong to social groups that align with our values, providing validation, love and affection, income, etc. Accepting new information/knowledge raises the challenge around continued belonging to those groups, or for that matter the internal stress of accepting that foundational elements of our belief systems may not be valid. Few have the fortitude to risk divorce, alienation, rejection by religious congregations, etc., with no obvious group to then join. Some even are willing to die defending these foundational elements. The primary "transition object" for those willing to change is AA for alcoholics. This explains the last 8 years of Obama sycophants. When you're wrong, you should own up to it and change your beliefs. I tell other people that all the time. I would really love to write an article about possible answers to this problem- obviously it needs to be as neutral as possible, but going off of what everyone has said in their comments- I want it to encourage ppl to accept new thoughts and ideas that they normally would not, create and establish new schema to go off of when they analyze news articles or news briefs, and maybe encourage others in their social groups to do the same, all in a way that is non-threatening... Is anyone interested in venturing into this territory with me, or does anyone have any ideas of where to start? 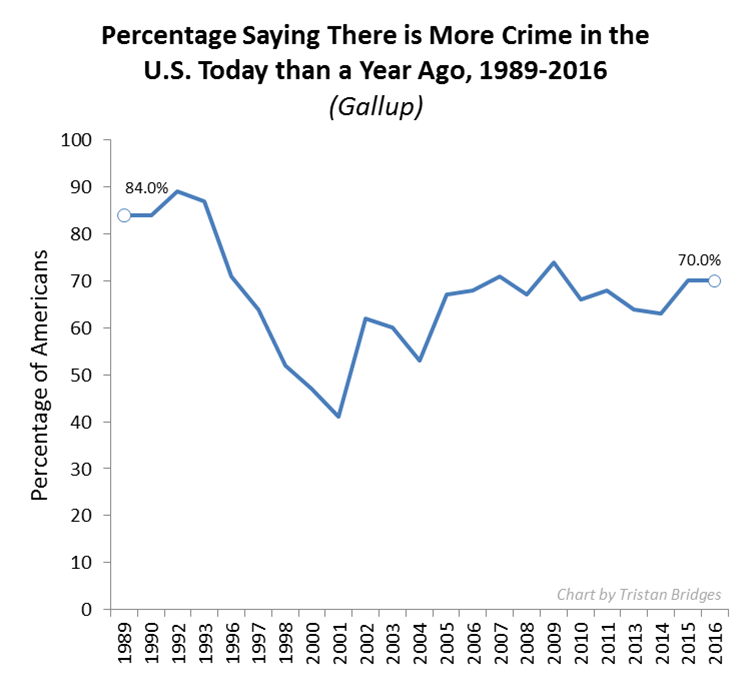 If you are older, and have lived through these decades, and remember not having to lock your door, your car, and not worrying about assault, and then, in the last 10 years, suffered a break in, in your house, while you were sleeping in your bed, been robbed 8 times, you might question the data. After the second time my car was robbed, along with many other neighbors, we learned it is pointless to make a report. I wonder how many others, have given up on reporting crimes? Personal experience, over rides data, at least for me. People change their beliefs when they experience some real-world negative consequence as a result of following their beliefs. Misinformed people need to experience emotional pain or pay a financial price that causes them to change. No one likes being embarrassed, and the easiest way for a typical person to get past embarrassment is to deny it happened - by claiming they believed something different all along. I've long had two personal "rules" that just happen to summarize this entire article. Cara's Rule: "Homo sapiens is not a rational species; it is a rationalizing species. Understand this and the entire world begins to make more sense." Cara's Corollary: "People only change their minds about their world view after a significant and traumatic spiritual, emotional, or psychological epiphany." The problem is that we tell ourselves we are rational. We're not. We're rationalizing. That's an important and critical difference, and the root of what is wrong with our expectations about logic, facts, and truth.